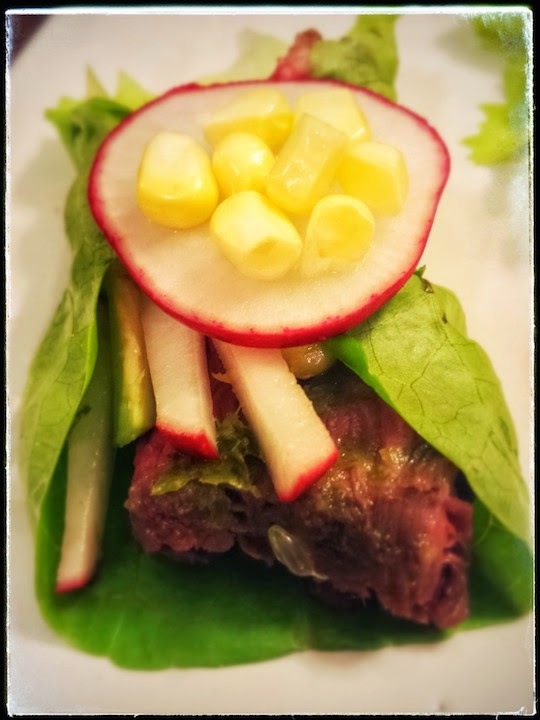 I'm totally smitten with the paleo way of subbing lettuce in place of tortillas for tacos. You can put anything in them just like you can put anything into any taco. All I know is I want more - and I've been thinking about all the different flavor combinations I can create! 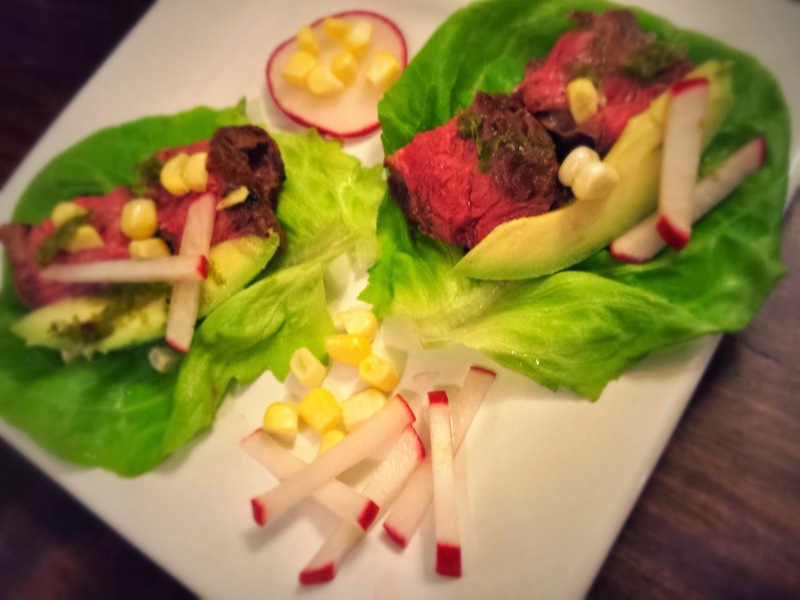 I added corn to my lettuce tacos, but if you're truly a paleo eater of course you would not add corn. Here's a nice presentation. You could serve these at a dinner party for your guests just like this! Or you could serve them like this. I love entertaining and inviting people over to eat. I love rare beef done right. I let my steak rest 15 - 20 minutes before I slice it so that the juices don't run all over the place. 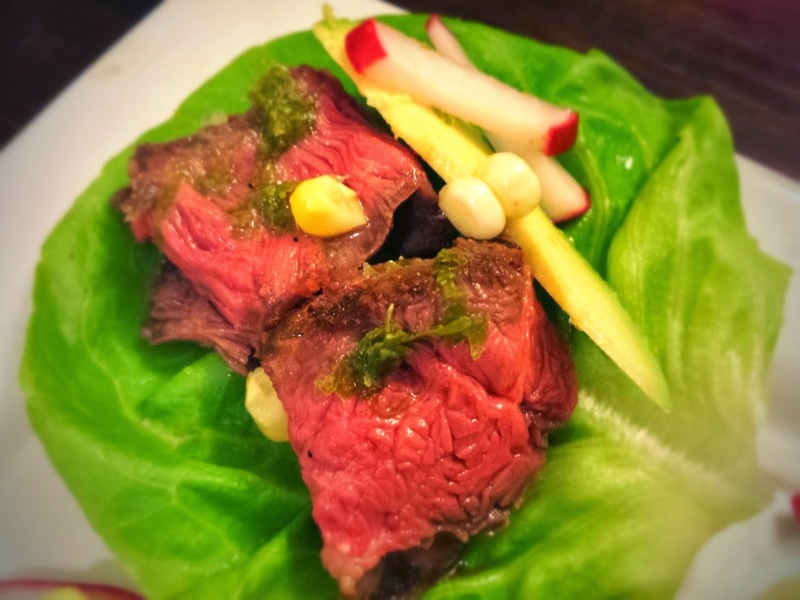 Just fold up that lettuce leaf like a taco and munch it up! Marinate the steak overnight in the marinade ingredients. Remove from the refrigerator 30 minutes prior to preparing. Broil 6 - 8 minutes per side until medium rare. Let steak rest 15 - 20 minutes. Slice thinly against the grain. Assemble by placing a lettuce leaf on a plate. 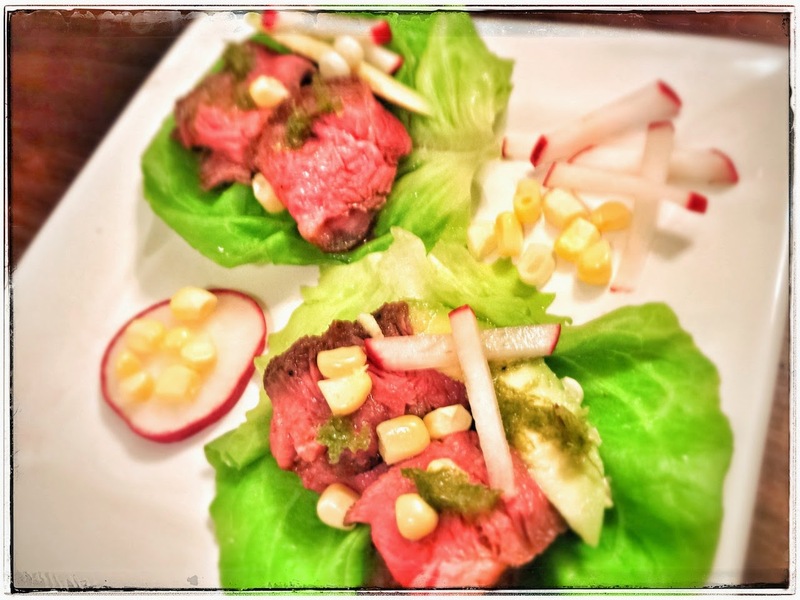 Top with steak slice, corn kernels, radishes, avocado, and lime juice & zest.